The following post is written by Educator Innovation Lead Jornea Erwin. In the #GridTip Series, Flipgrid Educator Innovation Leads Ann, Jess, and Jornea will share tips and tricks to help you explore ideas and possibilities with Flipgrid. Looking for more inspiration? Sign up for one of the Engage & Amplify: Flipgrid 101 Webinars! I love the saying â€œlearning loves community!â€� because itâ€™s TRUE! As I think back to my early education experiences, I was taught to and had little opportunities to learn with. As a result, I struggled with retaining and even caring about the information being presented! As educators, weâ€™ve learned over the years that learning should focus on the learner and that inspiring and creating dialogue within a safe environment fosters growth. With only so many hours in a day, weâ€™ve found discussion protocols to be an effective and efficient way to get students thinking critically about content. However, time, space, and distance often dictate when conversations can occur. Thankfully, Flipgrid can help you overcome these challenges to engage students in dialogue in the classroom and beyond! 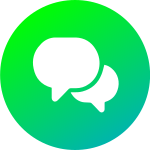 Student-to-Student Replies allow students the opportunity to respond to their peers within a Flipgrid Topic and participate in ongoing dialogue, any time and any place. And now that Flipgrid is 100% free, EVERY educator can use the Replies feature! Activate Replies when you want to immerse students in collaborative dialogue, foster asking and answering questions, and extend learning experiences. Replies-to-Responses is fully controlled by the educator and can be toggled-on when creating the Topic or anytime after creation by clicking â€œEdit Topicâ€� & scrolling to Section 6: Video Features. After viewing a video, students are given an option to reply to the original studentâ€™s response by clicking on the reply icon. Their Reply will appear under the original response. NOTE: if moderating the topic, Student-to-Student Replies will also be moderated and will not appear on the Grid until theyâ€™re approved by the Educator. ðŸ”® Let the Magic Beginâ€¦ itâ€™s easy as 1, 2, 3! 1ï¸�âƒ£ Set the stage: discuss and collaboratively develop expectations for Student-to-Student Replies. Ideas may include listening with respect and replying to ask a question, give an affirmation or extend new thinking with another idea. For example, check out the TAG acronym from Alison Nixon! 2ï¸�âƒ£ Support leads to success: If there are specific requirements you expect for responses, add it to your â€œTopic Tipâ€� to support students. 3ï¸�âƒ£ Engage & amplify: Encourage students by sharing and showcasing replies. There is even an option for the educator to Add Private Video Feedback for a student Response in the Educator Admin. Either way, the excitement fills up a room when an icon of classmate or teacher pops up under a video. ðŸ“– Connecting through Text: share a read aloud, novel, or article with students to read and explore (TIP: if available via web, attach the resource link as a TOPIC ATTACHMENT for reference). Ask students to respond to an open-ended question and provide evidence from the text to support their responses. This Topic engages students in connecting to the character in â€œLilyâ€™s Purple Plastic Purse,â€� asking them if theyâ€™ve ever had a similar experience being upset and forgiving someone. Use the Student-to-Student Replies option for students to give suggestions to others about actions they could implement the next time they may find themselves in similar situations. This topic empowers students to make a difference in the world by creating a â€œTEDtalkâ€� about a topic that matters to them. Use the Student-to-Student Replies for students to leave feedback about what captured their attention during the talk as well as suggestions for improvement towards the final TEDtalk. ðŸ”¢ Explore, discuss and support with mathematical thinking: try out My Favorite No as an activity for students to discuss the accuracy of mathematical thinking. The Topics within the Flipgrid Explorer Series: MatheMAGIC allows students to have in-depth mathematical discourse. For example, in MatheMAGIC 3: Be A Convincer, students will convince others which does not belong. Use the Student-to-Student Replies to have students share whether the other studentsâ€™ responses convinced them or not by providing evidence for their Reply. ðŸ”¬ Compare knowledge gained from experiments, including successes and failures. This topic encourages students to be inquirers. As students ask questions or share wonders in responses encourage other students to use Student-to-Student Replies to provide guidance, resources, or extend thinking of the question or idea shared by the student. ðŸ—º Ask and answer questions to clues from #GridPals! This Topic inspires students to research & learn about different countries, cultures, climates, etc. by connecting and asking detailed questions to #GridPals in hopes to determining their location. Use the Student-to-Student Replies for students to respond to questions giving further clues to their #GridPals about their location. ðŸ—£ Support language acquisition through conversation. Simply have a conversation about a topic in a language being studied. This Topic immerses students in practicing the art of speaking in another language by incorporating history, culture, and music. By providing authentic learning experiences, Student-to-Student replies can be used for students to make connections to personal experiences in the world we live in, using the language which is being studied. It feels amazing to share your voice and itâ€™s magical to know that your voice is heard, respected, and sparks dialogue. Each interaction creates a stronger community with bolstered care and love of learning within each individual. Enjoy being the catalyst to create this amazing magic with your students!